There is an old saying that states "education starts at home." In keeping with the spirit of that saying, it is important that you spend time reading to your pre-schooler on a regular basis. Not only will the bond between you and your child become stronger, you'll be setting them up for academic success moving forward. 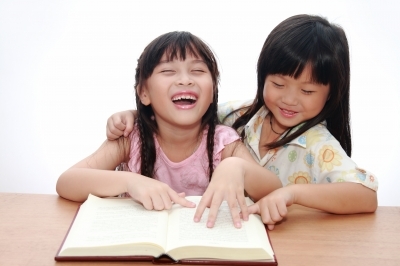 Here is a look at some of the many reasons that reading to your pre-schooler is beneficial. As you read with your pre-schooler, your child is learning the basic fundamentals to speaking. With each passing page, they'll hear the pronounciation of the words and begin to learn how each word is meant to be said. This is especially true if you take the time to "sound out" the words. Gently reinforce sounds they get wrong, while praising the words they get right. The way in which a person reads a book is not inherent to human nature. For example, some cultures read books from top to bottom or right to left. By showing that a books is read from left to right, your child will begin to understand the basics of how a book should be read and how pages are turned. With extra help from the tutoring in Chicago, your pre-schooler could even begin reading at an early age. Pre-schoolers are at that stage where they are learning to communicate with the world. As they develop more and more words, they will learn to be better communicators. By reading with your child, you'll encourage the development of those words. Your pre-schooler will be able to communicate at a faster pace than children who do not participate in language activities. Reading is something that takes up an immense amount of concentration. After all, if you're not looking at the page, then it is impossible to read. As your child learns how to read, they'll be focusing on the the task at hand. This focus will come into play as he tackles other subjects such as writing, math, and science, which also require that level of discipline. For help teaching your child advanced concentration skills, consider academic tutoring. Reading with your child helps develop speech skills and encourage basic communication skills. Reading with your child helps them learn how to correctly read a book. Reading requires focused concentration, which is also imperative in other subjects.